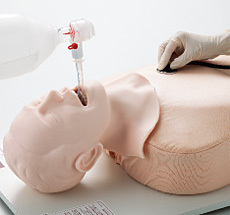 In securing an airway, tracheal intubation requires the highest skills and accompanies risks. In order for emergency medical staff to perform intubation, training in administering anesthetic in the operating room is a must. 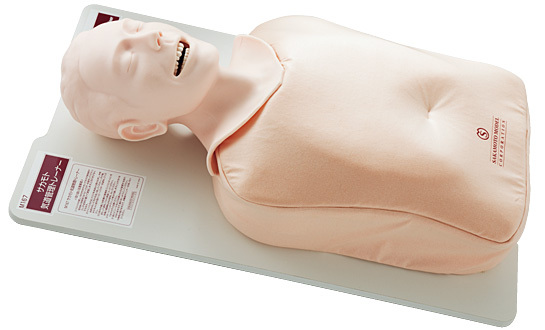 However, there is a need to create a system where sufficient simulation using a mannequin can be performed before the training in the operating room. The intubation models being used now, the sense of skin, movability of the jaw, and shape of epiglottis were not practical. 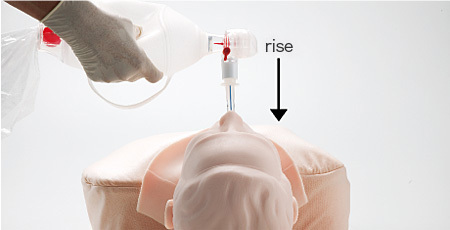 With these points in mind,as a guide model for intubation training for emergency medical staff, the <Sakamoto Tracheal Intubation Trainer> was developed with the focus on the "delicacy of the living body." The position of the pharynx, larynx, and epiglottis in relation to the cervical vertebra, and anatomical elements such as the axis of the oral cavity "pharynx" larynx have been taken into consideration. Not only durability, but also the delicacy of the human body has been considered, making it close to a real living body. 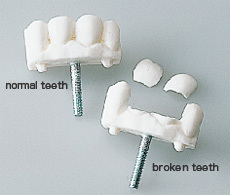 Parts of the model are purposefully make to be damaged if handled roughly. 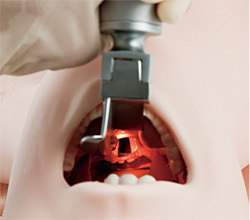 It is possible to acquire the skill of both oral and nasal tracheal intubation. 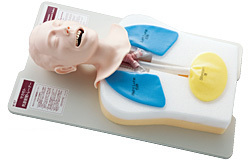 It is possible to acquire the skill of supraglottic airway devise (such as Laryngeal mask airway, the esophageal gastric tube airway). The tongue, epiglottis and the pharynx Epharynx have been reproduced such as a real living body. Because the tongue and mouth are soft, usage of laryngoscope and training in securing the airway can be done in a manner close to a living body. 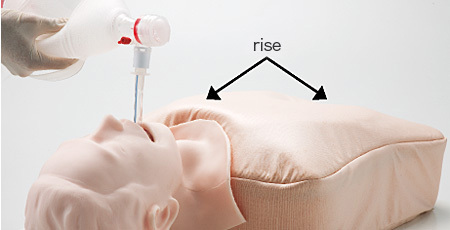 When correctly intubated and ventilated, you can confirm the left and right chests rise. 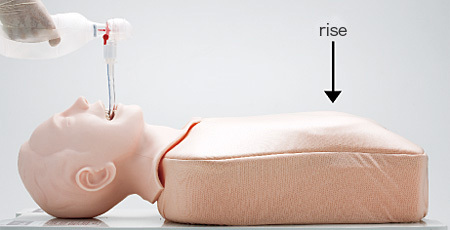 When intubated are ventilated one lung, you can confirm the error, as only one side will rise. When the tracheal tube has been mistakenly intubated into the esophagus and air is sent, the abdomen will rise, making it possible to confirm the error (stomachinflation).